For the first time in the history of South African athletics two major national championships have been combined to form one big event under the Athletics South Africa umbrella. Athletics SA and South African Schools Athletics (SASA) have brokered a deal to combine the Yellow Pages South African Youth, Junior and u/23 Championships and the SA School Championships. The separate events previously caused confusion in terms of the national champion, as different athletes could be the SA Champions in the same event and age category (e.g. 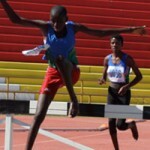 SA Schools champion in high jump and an SA Youth or Junior Champion in high jump). In past years, Athletics SA and SASA hosted separate Championships on different weekends, but for the first time in history, both Championships were scheduled to take place on the same weekend, causing negotiations between Athletics SA and SASA to become an imperative. A decision was made that the two championships would merge, allowing Athletics SA and associate member SASA to join forces going forward. With the combination of the two events, more athletes will get the opportunity to compete at national level, as athletes can’t compete for both SASA and an Athletics SA province. 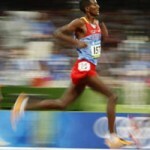 The championships will now consist of 26 provinces (9 provinces for SASA and the 17 Athletics SA provinces). SASA will select athletes from those who compete in the official Schools league system and will have first choice on all those athletes. 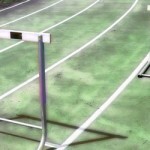 Athletics SA provinces may select any athlete who is a member of a club and who has met the qualifying standards, provided the athlete has not been selected for a SASA provincial team. Those club athletes who have not been selected for either the SASA or Athletics SA provincial team, and who have met the qualifying standards, may enter as individuals, provided they do so via their province. Athletics SA president James Evans added that once Athletics SA and SASA sat around the table and discussed the issues it was discovered that there were hardly any obstacles to the two organisations working together. The ultimate beneficiaries will be the athletes, as the team for the World Junior Championships will be selected from the bigger pool of athletes who will now be eligible to take part at the championships. 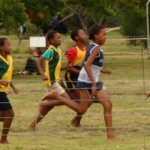 The event will be known as the Yellow Pages South African Junior and Schools National Track and field Championships and will take place in Germiston from 29-31 March 2012. Categories include Under 23, Junior, Youth and sub-youth as well as LSEN learners (junior, youth, sub-youth and primary-youth).